Families choose certain subdivisions in which to live for many reasons, but most parents have some similar requirements when it comes to finding a place to raise their kids. We're offering helpful suggestions for those seeking to buy with some of our most popular family friendly Edmonton neighbourhoods. These selections are based on proximity to good schools, parks and playgrounds, age of the homes, demographic make up, and the average price of homes (roughly $350-$450,000). Uncover ideal homes for sale in family friendly Edmonton neighbourhoods or read more about what these areas have to offer their residents throughout the year! Register with us and unlock the ability to bookmark your favourite homes in our safe neighbourhoods, or receive alerts to new listings as they enter the market. From lakeside homes in Summerside, to unique Terwillegar that has been built to reflect the spirit of a small town, there are plenty of choices with Family Friendly communities in and around Edmonton. Community centres in these areas offer plenty of programs for youth and adults, including swimming lessons and clubs, art classes and craft workshops. Enjoy the many comprehensive trail systems perfect for cruising on the bicycles or strolling with the dog during sunsets or jogging as the sun comes up. Browse homes in the inviting and safe neighbourhoods listed below or visit our Edmonton communities page for a comprehensive list of areas. 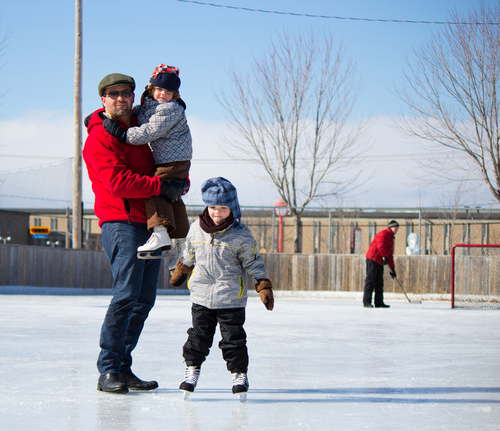 Edmonton is city that celebrates diversity and fun for all ages; there are year-round activities to keep you and your family members busy throughout each season, no matter how young or old. From the rides in West Edmonton Mall to the greenhouse oasis of the Muttart Conservatory or the countless outdoor hockey rinks in every corner of the our quadrants here you'll find activities to suit all interests and fitness levels. Make sure to stop by Fort Edmonton for a trip back in time to the old days of the city, or mark the calendar for our family friendly Edmonton festivals like the International Street Performers Festival, and lace up the skates when the City Hall wading pool freezes to an outdoor rink in the winter months. Getting around is made easy with our comprehensive highways, bus routes and LRT systems that encourage quick access to and from the city and throughout the subdivisions in all outlying areas. Ready to start looking at homes in family friendly Edmonton neighbourhoods? Let us know what areas are of interest to you and we can help pre-qualify homes for walkthroughs. Email us or give us a call for more information at: 780.486.8655.